Dozens of groups aiming to open free schools in England next year have met in London to get tips from those who have already set them up. Members of some of the 102 groups approved to open schools met at the West London Free School. Its founder Toby Young welcomed a Daily Mirror report that Labour is to announce a policy shift on the schools. But the party dismissed this as "misleading, speculative and ill-informed". The Mirror had said Labour was "set to drop its ­opposition to free schools in a major change in policy". Labour does not officially oppose free schools but views are mixed in the party and some front bench MPs have complained some of these schools are being set up in places where there is a surplus of places. 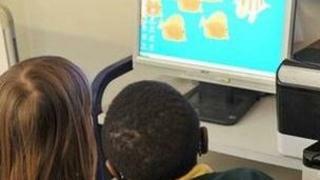 Shadow education secretary Stephen Twigg had previously said there were good examples of the schools, but certain tests had to be applied to them before they went ahead. The party has been reviewing its education policies and details are due to be announced soon. Free schools are state-funded, independently-run schools which can be set up by various groups, including businesses, parents, teachers and charities. They are independent of local authorities and are funded directly from central government, with increased control over their curriculum and teachers' pay and conditions. So far, 81 free schools have opened and another 200 are in the pipeline. Responding to the report in the Mirror, Mr Young said: "For people involved in free schools, it's a great relief that it does not mean the end in 2015; that free schools are here to stay". Delegate Jaspal Singh, who is behind a Sikh free school project in Coventry, said: "It would be great if the politics could be taken out of education and we had the support of Labour councillors." The issue of free schools has been politically controversial, with the Liberal Democrats officially opposing them, saying they go against its ideals of local democracy. They were a key part of the Conservative party's manifesto at the last general election, with the party saying they would improve standards and give parents more choice of good schools. At the conference in west London were groups preparing to open schools from September 2014 onwards. They were given advice on legal matters, finance, recruitment and leadership, buildings, dealing with local authorities, the media and answering critics. Among them was Jolanta Lasota, who is chief executive of the charity Ambitious About Autism and aims to set up a free school for children and teenagers with autism which will be integrated with a mainstream school. "There is a big gap in autism education as there are many children who are very able but have the challenge of autism, and they often fall between the gap. They don't get the support in mainstream but don't fit in special school," she said. "We want them to learn alongside mainstream pupils...and have academic excellence while getting specialist support." Mr Young, who organised the conference, and whose West London Free School (WLFS) was the first free school to get government approval, said: "I know how difficult it is to get a school up-and-running from scratch." "The idea is for the pioneers to pass on the lessons they've learned to those following in their footsteps." The WLFS group is set to open two more free schools in west London, both primaries, one this year and one next year. Some teaching unions are critical of free schools, saying they draw money and pupils away from other schools and that the way they are approved and set up means there is less local planning for places. Approval comes from the Department for Education rather than local councils. The National Union of Teachers has described them as a costly experiment which has resulted in schools being set up where they are not needed, while other areas suffer a shortage of places. The union's leader, Christine Blower, said: "The government's free schools are adding to the increasingly chaotic approach to education that this government takes. Instead of local authorities being funded to address the primary place shortage that is gripping many parts of the country, some councils are instead facing a growing and excessive surplus of unnecessary secondary school places. "Local democratic oversight of place planning is the way to ensure that we have a school place for every child."